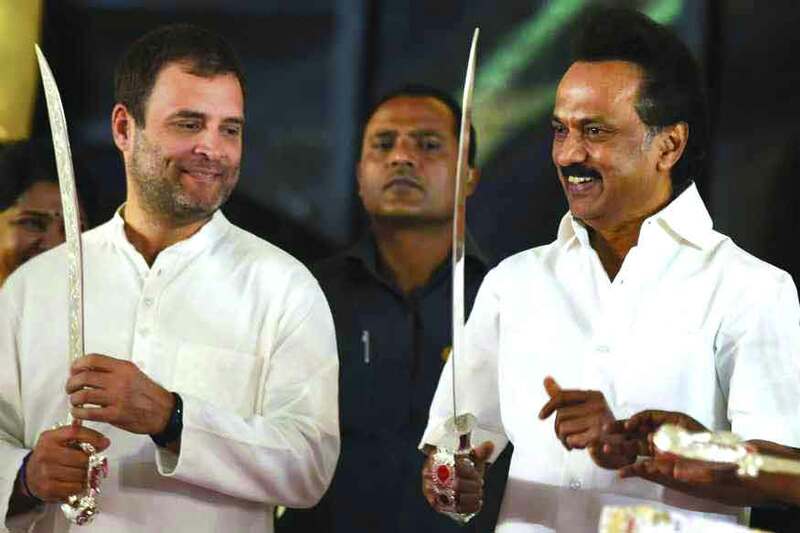 A day after attending Mamata Banerjee’s show of strength in Kolkata, DMK president MK Stalin has again backed Congress president Rahul Gandhi as his party choice for next Prime Minister. Reacting to criticism about his silence in the Kolkata rally over the PM’s choice of the Opposition, Stalin rubbished speculation of a re-think on his part and said he did not repeat his endorsement of Rahul Gandhi in Kolkata “as the situation is very different in West Bengal”. The DMK chief said he proposed Rahul Gandhi’s name at his party-held event here whereas the Kolkata rally saw the convergence of several Opposition parties who had decided to pick the PM nominee post Lok Sabha election in keeping with the unique political scenarios in their respective States. “It was a DMK-held event where we had every right and we proposed Rahul Gandhi since people of Tamil Nadu expected and what is wrong in it,” asked Stalin addressing a function. Affirming that Rahul would be the next Prime Minister, Stalin said, “Wait and see if it happens or not,” and added that no leader at the Opposition rally had questioned him for backing the Congress chief for the top post. Taking a potshot at Stalin, the BJP said the fact that Stalin could not reiterate his “Congress chief Rahul Gandhi for Prime Minister pitch” in the Opposition rally at Kolkata showed that he has diverged from his avowed stand. “Stalin said Rahul Gandhi will be the PM candidate in Chennai. He could not say so at Kolkata,” BJP Tamil Nadu unit president Tamilisai Soundararajan said here adding such contradictions outlined the contours of the Opposition front.